More information, including the full complaint, available here from SPLC. David Fathi, director of the ACLU National Prison Project, has an op-ed at Huffington Post on whether America’s supermax prisons violate international human rights law. The fact that extended isolation produces psychosis in humans has been recognized since America’s first (failed) experiments with solitary confinement at Pennsylvania’s Eastern State Penitentiary in the 1830s. The idea was that prisoners kept in cells by themselves would have nothing to do but think about what they’d done wrong. In reality, as quickly became apparent to prison wardens, they simply went crazy. Atul Gawande’s New Yorker article remains the best general-audience summary of the case for defining solitary confinement as torture. The official line is that these prisons are reserved for the “worst of the worst” — the most dangerous and incorrigibly violent — but most states have only a few such prisoners. In overcrowded prison systems, the typical response has been to fill the remaining supermax cells with “nuisance prisoners” — those who file lawsuits, violate minor prison rules, or otherwise annoy staff, but by no stretch of the imagination require the extremely high security of a supermax facility. Thus in Wisconsin’s supermax, one of the “worst of the worst” was a 16-year-old car thief. Twenty-year-old David Tracy hanged himself in a Virginia supermax; he had been sent there at age 19, with a 2 ½ year sentence for selling drugs. The mentally ill are vastly overrepresented in supermax prisons, and once subjected to the stress of isolated confinement, many of them deteriorate dramatically. Some engage in bizarre and extreme acts of self-injury and even suicide. In an Indiana supermax, a 21-year-old mentally ill prisoner set himself on fire in his cell and died from his burns; another man in the same unit choked himself to death with a washcloth. It’s not unusual to find supermax prisoners who swallow razors and other objects, smash their heads into the wall, compulsively cut their flesh, try to hang themselves, and otherwise attempt to harm or kill themselves. The good news is that it’s quite possible for states to turn back from this path. 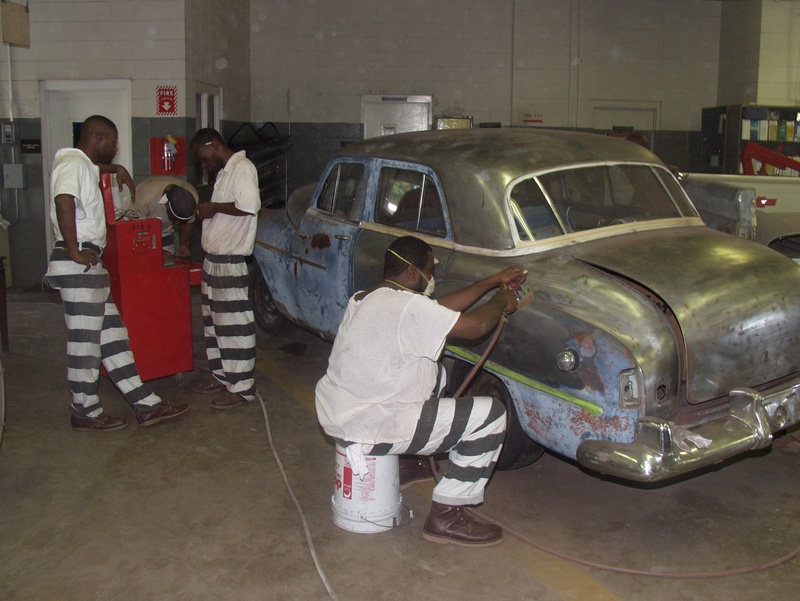 Between 2006 and 2007 alone, Mississippi slashed the number of inmates in solitary confinement from 1,500 to 150. Though characterized as being the “worst of the worst,” a significant percentage of Unit 32’s prisoners were held there only because they had HIV, were seriously mentally ill or needed protective custody. They were permanently locked down in solitary confinement with no possibility of earning their way to a less restrictive environment through good behavior. In response to litigation pressure from the ACLU, the Magnolia State has now agreed to shutter this unit for good (or at least for now). Since the ACLU filed suit in 2002, the Mississippi Department of Corrections has reduced the population in Unit 32 from over 1,000 to just 150. As reported by the Jackson Clarion-Ledger, the remaining prisoners will now be transferred to other divisions of Parchman or, in the case of seriously mentally ill prisoners, to a private psychiatric facility in Meridian. Prison reform is not often a happy topic, but I think we can all celebrate the closure of Unit 32. The ACLU brought suit against the state in 1990 on behalf of HIV-positive prisoners housed at Parchman to force the state to provide proper medical care. In 2005, U.S. District Court Judge Jerry Davis ruled MDOC had addressed problems with prisoner conditions, bringing the suit to an end. [Mississippi Corrections Commissioner Christopher] Epps said he would have ended segregation of the prisoners then, but the ACLU asked they be kept separate. ACLU spokesman Will Matthews said the organization initially was concerned prisoners held in the unit would be ostracized and subject to possible violence if they were immediately introduced into the general population because other prisoners would know they were HIV positive. Epps has taken a “nuanced” approach to the problem, by phasing out the policy, Matthews said.